I had a lot of money (a lot for myself) and I wanted, and needed a new guitar. I wanted to go w/ Gibson because you can't go wrong. I went out to Guitar Center and picked this up used for $960.00. I love the overall look of it. The fretboard is very fast and I love the neck. It has very good sustain. I didn't know if it would still have the "new" sustain since it was new, and it still did. I don't like that my neck humbucker went out. I had to buy a new Seymour Duncan. I was pissed that I had to be out of a big show I played, and I didn't have my "Gibby!" The knobs were also causing a lot of excessive noise and I had to tighten the screws. The construction was beautiful. The body was perfect and I love the way the gothic series it put together. I most of all love the neck on it, it is perfect. The bottom line is that it is better to buy one of these new rather than used. 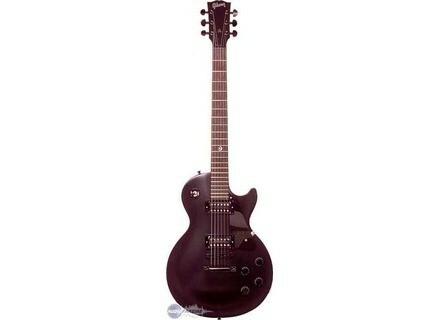 It is also rather cheap price wise for a great quality Gibson. You can get one new for around $1,200.00.